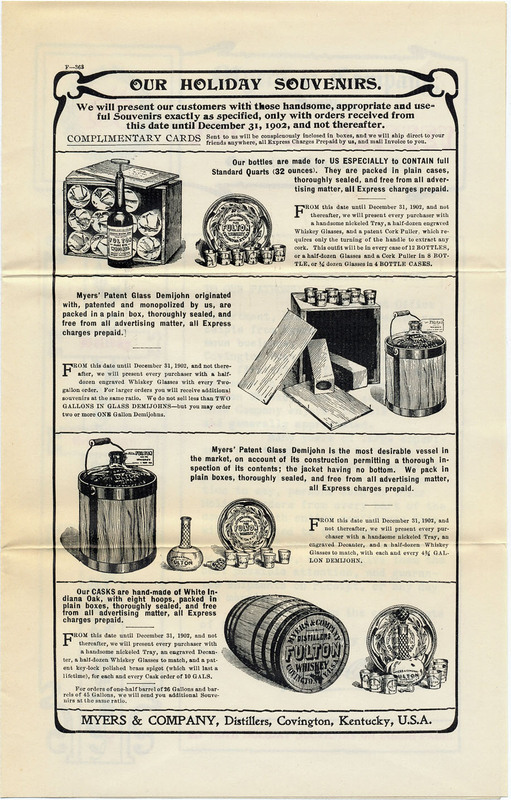 A four-page cover letter (two pages were left blank) and promotional flyer for "Fulton" brand whiskeys and liquors, from Myers & Co., Distillers and Wholesalers of Covington, KY. It measures 6" by 9-1/2" as shown and accompanied a packet of advertising materials and a return envelope. The packet was mailed on to December 1, 1902 to a Mr C V Blose of Urbana, OH.